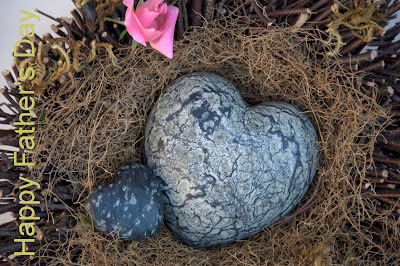 I am crazy over heart shaped rocks....one of your fellow Texans, Candy at RockCandy actually sent me a fabulous rock with a heart shaped indentation....gotta love TEXANS!! What is it about rocks that draws us to them? I don't know for sure but I do love them. This heart-shaped one is a treasure!